Home / Featured / Where in the World is Gail Pells? Where in the World is Gail Pells? The Class of 2018 graduated 172 students strong, but during the ceremony, one more person walked the stage to grab her diploma. The honorary graduate and Woodland teacher of 15 years, Gail Pails finally earned her diploma. After graduating, Pells didn’t go right to college like many of her fellow graduates did, instead, she took the opportunity to travel the country. Pells wasted no time after walking the stage. Two days later, on Sunday, June 24th she traveled to Assateague Island which is located off the coast of Maryland. One of Pells’ favorite childhood books, Misty of Chincoteague by Marguerite Henry takes place at the island. Pells’ curiosity of the setting led her and her fiance to spend almost a week exploring nature by hiking, camping and hanging out at the beach. Before departing Maryland, Pells did make sure to check out the famed boardwalk. Maryland was simply the start to Pell’s cross-country journey. Throughout July, Pells did a lot of catching up. Through the midst of her years of teaching, the job consumed a majority of her time. At the start of July, Pells went up to Staatsburg, NY where she reunited with her childhood best friend. The two got to talk, swim in Chloe Lake, the lake privately owned by her friend, and simply catch up. After the reunion, Pells organized a Fourth of July boat parade at the lake in West Haven where she resides. Then throughout the rest of the month, Pells attended graduation parties, got up to date with all her doctor’s appointments, started a fitness program, and took a trip to Cape Cod. But the most important catching up Pells got to do was with her family. Her daughter, son-in-law, and grandson had come to visit from the other side of the country. For a long weekend, Pells spent valuable time with the two-year-old. August was no exception to Pells’ big summer plans. 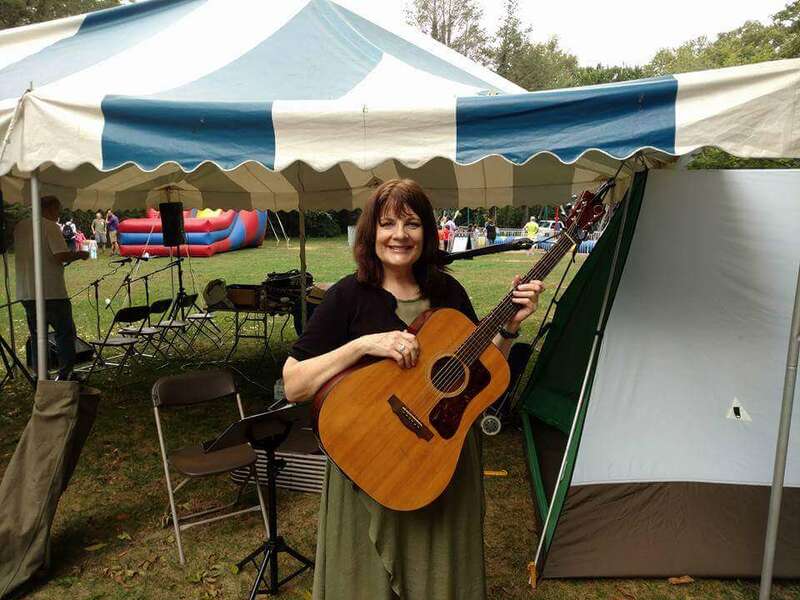 While she spent lots of time in her home state of Connecticut gardening and playing guitar with her trio of friends, David Lindsay and Sheldon Campbell, as well as herself, she did take another trip to Cape Cod. This time, Pells went to Provincetown, where she picnicked and went deep sea fishing. The experience at Rock Harbor in Orleans was not only new for Pells, but it was also exhilarating. She had caught her first striped bass. Once back home, the influx of ideas never ceased. New plans were simply arising. This new trip would be greater than any of the trips thus far. Though the trip was not to commence until late August, Pells had to put lots of planning into it. 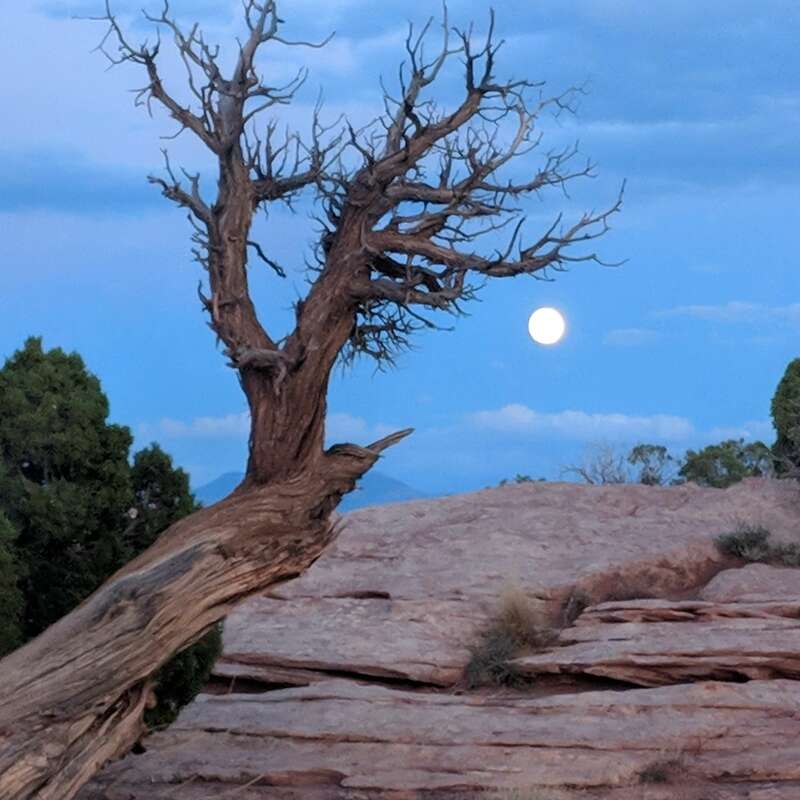 “[I] seriously planned for our big six-week camping trip out West to visit twelve National Parks in September,” Pells said. 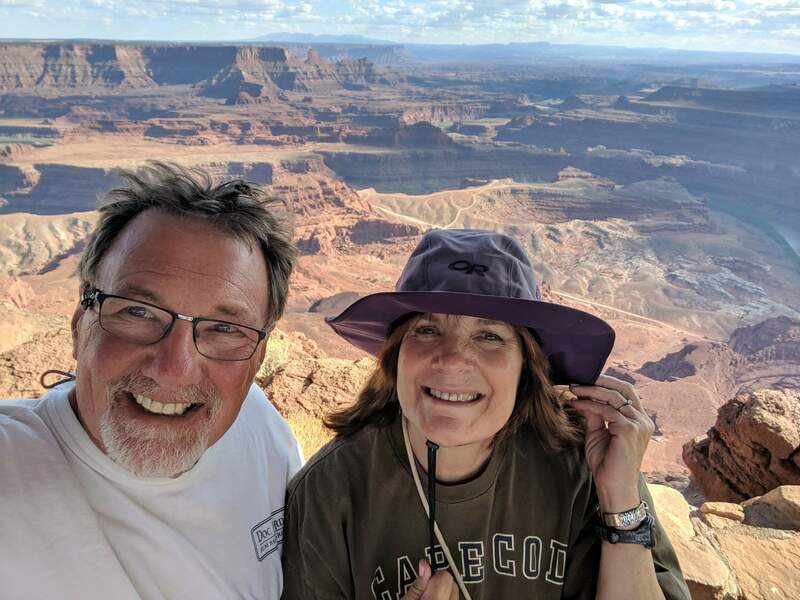 Starting August 28th and continuing through the month of September, Pells and her fiance visited nine national parks and five national monuments. These included Mt Rushmore, SD, Yellowstone NP, WY, and the Grand Canyon NP, AZ. Her favorite memories of this trip, focus on the beauty of the Grand Prismatic Hot Spring in Yellowstone, how much she enjoyed walking through the river in The Narrows section of Zion, and how much fun zip lining in Arches was. Out of these three though, Arches seemed to take the cake. Whilst on the trip, Pells kept her grandson in mind. 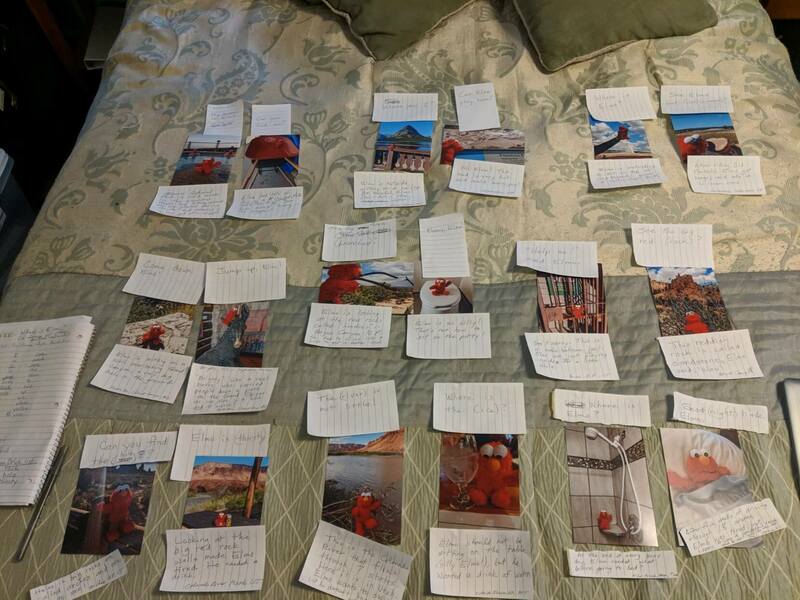 “I’m making a children’s book called ‘Where’s Elmo?’ for my grandson and several other relative children,” Pells said. Throughout her trip, Pells photographed the children’s icon in several parks and in places on the way. She plans to have the book completed for Christmas, and already has a layout for her design. Along with the pictures of Elmo, Pells made sure to take many pictures for–and–of herself. Some of her favorite photos will soon be displayed in her home on a gallery wall. Pells returned to Connecticut as the first week of October came to a close. She says her trips gave her the RV bug, which led her and her new fiance, Fred Rubino, to get a larger camper and truck. For the remainder of October, Pells relaxed from her busy schedule, but nothing depleted the energy she radiates or her desire for more. In November, Pells joined the Y where she is participating in the Silver Sneakers program. While at the Y, Pells is focusing on swimming MWF and weightlifting. In retirement, Pells is doing everything that she had not been able to do before. Lately, she’s just been playing catch-up with her life. And she still has more catching up to do. Amongst everything, she wants to take new classes, take up knitting again, and substitute teacher, (she notes she is going to take a break from Woodland). She wants learn how to play new instruments and practice the ones she already knows such as the piano, guitar, alto recorder, and hand drums. She wants to declutter rooms, learn new recipes, and plan the next big adventure. She quotes Robert Louis Stevenson as to why the adventures aren’t going to stop. Pells is finding joy in all the things she does whether it be a cross-country trip, or simply spending time with those she loves such as her grandson, Omie, and soon-to-be husband, Fred. When asked about retirement, some might be thankful they can relax, but Pells is grateful all of her adventures are just starting.